I am a business owner, freelance hair stylist & creative consultant working in Ottawa, Canada. I studied hair styling at Marvel Academy & I have taken extensive courses with Kevin Murphy, Bumble & Bumble, Mane Addicts University & Wella. I have always enjoyed continuing to educate myself on the latest hair trends and fashion forward looks & as I have grown in my career my love for fashion & design has grown with me in different industries. My fiance and I fell in love over many late night home decor projects. 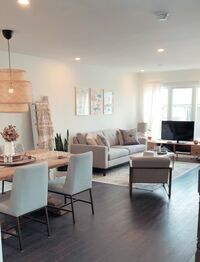 Through the process of moving into one apartment & owning our first home, we tackled many different spaces, often times on a budget & finally fully redesigned our first home. After many requests from clients, friends & family I've decided to take a leap of faith and expand House of Morris into home decor & styling. "Every day I have the opportunity to work on my HOM girls, creating lasting connections over coffee and convos. Not only do I get to learn about their incredible lives but together we also create a look that will inspire a sense of confidence for them to go out and tackle the world. This is without a doubt what I consider a dream job and it is what pushes me to stay motivated and inspired every day". When searching for a product line to carry at House of Morris, I looked for companies that fell in line with my vision, being both fashion forward & gentle on the hair. I quickly fell in love with Kevin.Murphy, Color.Me By KM & R&CO hair products. While those are our top three lines in salon, I am always searching for the latest products for my HOM girls. 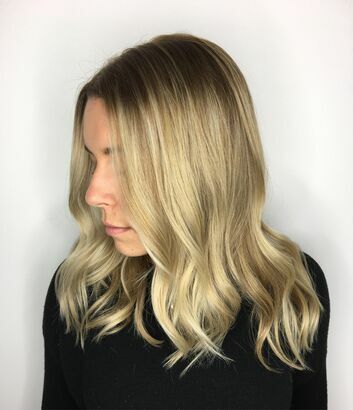 In 2016 I brought Olaplex into salon to add to the products we carry. 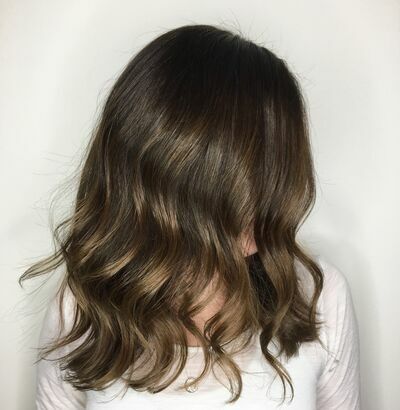 The simple three-step process includes a patented active ingredient that works on a molecular level to seek out broken bonds in the hair that are caused by chemical, thermal, and mechanical damage. I highly recommend adding Olaplex to all colouring services as well as doing stand alone Olapex treatments to restore compromised hair. Keeping the integrity of the hair is a must when colouring or styling our HOM girls so it wasn't surprising that we fell in love with this three step process to provide the ultimate breakage insurance. House of Morris is a full service hair salon & one stop shop for everything the HOM girl needs to freshen up her look. 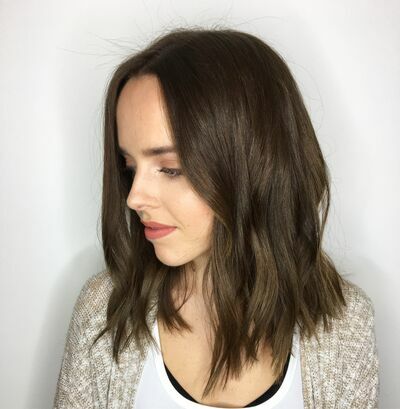 Whether your looking to brighten up your locks, change your look with a modern new cut or get a quick blowout on a Friday night before heading out on the town, I am here to take care of you. Check out our hair services page for pricing & fill out the form to book your next appointment! If you're looking for a stylist to help you tackle your home decor dreams, tell me about your space and I will help you come up with a decorating plan and give you all the tools you need to style your home. I want you to feel at home in your new space & be surrounded by pieces that reflect your personality or mean something to you. Check out our home services page for our step by step process & fill out the form to get started! ‍‍‍‍‍‍‍‍‍‍‍‍‍‍‍‍‍‍‍‍‍‍‍‍‍‍‍‍‍‍‍‍‍ TIME TO BOOK AN APPOINTMENT?